For the alarmingly low price of zero dollars, The Darkness II can be yours at the Humble Store, "while supplies last." This offer lands hot on the heels of a similar promo from Humble for F1 2015. All you need to do is hit the link to the Humble Store and add it to your cart, which will net you a Steam key for PC and Mac. It'll be worth it, even for a six year old game. The Darkness II is the sequel to 2007's The Darkness. Whereas the first one was developed by Starbreeze Studios, makers of Payday 2 and The Chronicles of Riddick: Escape from Butcher Bay, this one was developed by Digital Extremes, the studio behind current cult hit Warframe. The Darkness II will net you at least an afternoon or two worth of a decent single-player campaign. 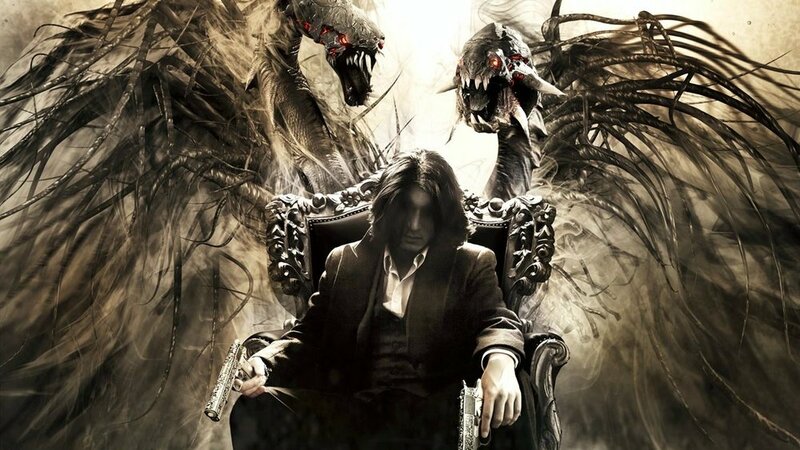 While the shooting you do like any mere mortal murderer is functional, the power fantasy of wielding demonic tendrils is superb, letting you rip and tear through gangsters and cultists by the score. Brian Bloom turns in a decent performance as Jackie Estacado, the chronically disinterested and glassy-eyed gang leader who pines for his lost love Jenny, and the story, while not great, is at least an entertaining romp that will thrill even as you fuggedaboutit. There's also a side story co-op campaign in which you and three other friends play supernaturally gifted hitmen. This offer lasts for about the next sixteen hours, so grab it now. Each episode of Spacelords is an intense adventure of four challenging missions that can be played cooperatively or as an Antagonist attempting to thwart the Raiders. It's a bit like the ill-fated but excellent Evolve, but with more story and cutscenes directly woven between each match. This isn’t the first time EA and DICE have given free content away to the Battlefield community, and it’s their way of keeping Battlefield interest high in the months leading to Battlefield V.
Rainbow Six: Siege's Operation Para Bellum Is "Largest Content Update Yet"
The new map, called Villa, is a luxurious mansion set in the Italian countryside that’s owned by the notorious Vinciguerra crime family that’s deep into smuggling activity. At first glance Spec Ops: The Line is a conventional third-person military shooter, but it actually goes somewhere with a compelling story that stares unflinchingly into the heart of darkness. Genesis Alpha One is "a revolutionary mix of roguelike, FPS, base building and survival that puts you in the role of an interstellar pioneer."